Do I Need to Replace My Furnace Before Heating Season Starts? | Comfy Heating Air Conditioning Inc.
Do I Need to Replace My Furnace Before Heating Season Starts? It may not seem like it, but we’re getting awfully close to heating season, folks. You know what that means: it’s time to make sure that your home is ready for cold weather! There are a lot of different steps you can take to get your home ready for the fall and winter seasons. One of the most important, though, is determining whether or not your heating system is even able to get you through another cold season. Read on for some guidelines on establishing whether or not you should replace your furnace before heating season starts. Is It Costing More Than It Should? Cost efficiency is going to be the main thread running throughout this blog. Your furnace is obviously going to contribute to higher monthly bills during months when you’re using it on a regular basis. However, if your furnace seems to be increasing your monthly operating costs far beyond what it should be for how often you’re using it, you might want to call a technician to have a look at it. 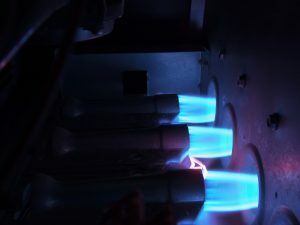 Furnaces often do that when wear and tear begins to rob them of their ability to heat properly, forcing them to operate for longer periods of time to achieve the same effects. Unfortunately, the only way to fix this is by replacing the entire system. Is It Breaking Down Often? Another common indication that your furnace is nearing the end of its life is if it starts to break down on a regular basis. If your furnace breaks down every few years, that’s probably normal wear and tear that you don’t need to worry about. If it breaks down every year, or every few months, that’s a much bigger problem that you need to deal with. Constant repair issues and breakdowns indicate that the wear and tear on the system has progressed far enough that it is beginning to fall apart. This will only get worse the longer you insist on using the furnace. It’s much cheaper to replace the furnace with a new one at that point. The typical lifespan for a furnace falls between 10 and 15 years. Once the system gets older than that, it will very often start to accumulate a wide range of issues related to the years of wear it has accumulated up to that point. The older the system gets, the more costly it will become. Eventually, it will likely develop some sort of issue that will cost more to fix than simply replacing the entire system. Rather than waiting for that final issue to arise, it would be cheaper and easier if you just installed an entirely new system now. Consult with a professional about whether you should replace your old furnace before winter arrives. Comfy Heating & Air Conditioning Inc. provides comprehensive furnace installation and replacement services in San Ramon, CA. If you need a new furnace installed in your home, contact us today to schedule an appointment with one of our professionals.